These waterfalls, on the Iguazu River, border Argentina and Brazil. They are the largest waterfalls in the world. 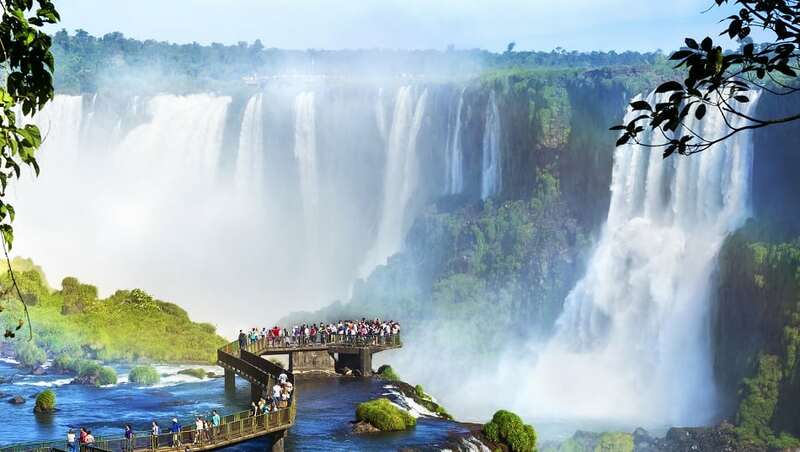 For most of its course, the river flows through Brazil; however, most of the falls are on the Argentine side and forms the boundary between Argentina and Brazil.